Background: Mitral para-prosthetic leaks are rare but major complications of mitral heart valve replacements. When they must be re-operated, they are burdened with high mortality rates. We proposed to review our surgical experience in terms of approach and type of operation carried out. Methods: Demographic, preoperative, intraoperative and postoperative characteristics of 34 patients benefited from a surgical treatment of mitral paravalvular leak, at the Brugmann University Hospital between 1996 and 2016, have been analysed retrospectively. We analysed the data to identify the risk factors of postoperative mortality. We then compared the data depending on the approach and the type of surgical treatment in order to compare the morbidity-mortality. Results: The postoperative mortality rate was 11.7%. The presence of endocarditis and increase in lactate dehydrogenase were predictive factors of mortality. Cardiac complications and acute kidney failure were significantly more common in the decease population. Direct mitral paravalvular leak suturing was more frequently performed on early apparition, anterior and isolated leaks, whereas a mitral heart valve replacement was most often performed to cure active primary endocarditis. The incidence of complications and mortality rates were identical according to the approach and the type of operation performed. A mitral para-prosthetic leak recurrence was observed in 33% of the cases. Conclusion: Surgical treatment of mitral para-prosthetic leaks is accompanied by a high mortality rate. The operative strategy plays a major role and can influence the morbidity-mortality encountered in those patients. Background: A large number of compounds with important biological properties contain the pyrrole heterocyclic system as main structural feature. Methods: The synthesis of substituted pyrrole derivatives was carried out via a one-pot multicomponent reaction of sodium diethyl oxalacetate (3) with an equimolar amount of various aromatic aldehydes 1 and primary amines 2, in ethanol, using microwave irradiation. The newly synthesized compounds were evaluated for their potential cytostatic and antiviral activities in various cell culture lines. Results: A range of novel pyrrole derivatives (4-13) were synthesized in a convenient one-step procedure. 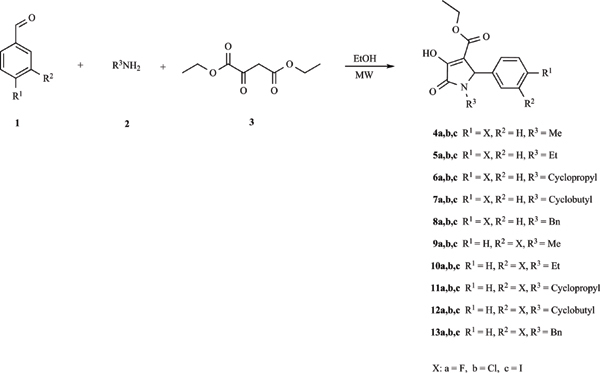 3-Hydroxy-1-methyl-2-oxo-5-(3-chlorophenyl)-2,5-dihydro-1H-pyrrole-3-carboxylic acid ethyl ester (9b) showed a noteworthy activity against leukemia, while all new pyrrole adducts were potent against the Yellow Fever Virus in Vero cells. Conclusion: A new protocol, employing a three-component reaction under microwave irradiation, enabled the rapid synthesis of 3-hydroxy-2-oxopyrroles has been developed, providing access to compounds with significant antiviral activities. WISHING A VERY HAPPY BIRTHDAY DR. SILVIO BELLINO! Background: Asthma is one of the major noncommunicable diseases. According to the latest WHO estimates released in December 2016, 235 million people currently suffer from asthma and there were 383 000 deaths due to asthma in 2015. Most asthma-related deaths occur in low- and lower-middle income countries. Asthma is a common disease among children. Objectives: Asthma care requires understanding how diagnose and assess it. The aim of this study is to analyze and discuss the different and various experience on the endeavours produced worldwide to overcome these problems, to comment on their results and highlight best management evidences with the pivotal role of respiratory physicians. Methods: extensive medline search of all relevant studies on “asthma management”, ”asthma care”, “asthma primary care”, “asthma pharmacist”, “asthma nurse” and “asthma school”. Results: Despite a huge amount of new data on the disease, produced in last decades and in different settings, asthma management suffers a series of pitfalls that conveys to less than optimal care. 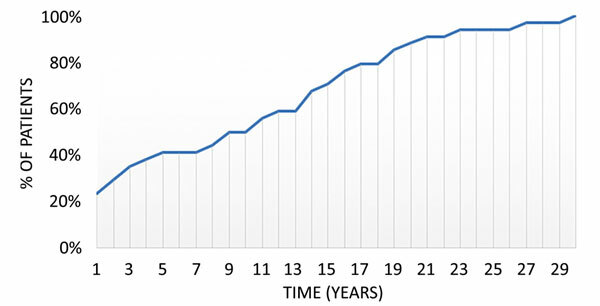 Some examples of the persistence of incompletely resolved issues in asthma management are : 1) misdiagnosis – with the related complex consequences -, especially in children population and, 2) poor control of the disease. Also related factors as suboptimal medical management , poor education and health literacy of patients, poor adherence and elevated costs for patients and healthcare systems are some other factors that need urgent implementation. Conclusion: Better and systematic strategies in diagnosis, phenotyping and therapy are available in a specialistic dedicated setting. BENTHAM SCIENCE FREE TRIAL IN The University of Palermo, Italy! Treatment strategies and treatment options have changed considerably over the past decade for Inflammatory Bowel Disease (IBD). Alongside this shift in therapeutic options has come an opportunity to personalize treatment decisions based on individual patient profiles and preferences. 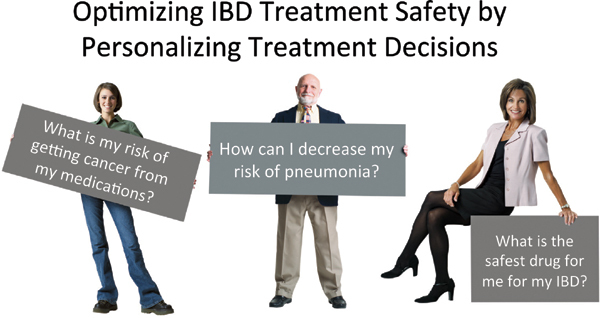 One of the most important aspects of therapy in IBD is treatment related risk, and an opportunity exists to personalize therapy through optimization of drug safety profiles in individual patients. 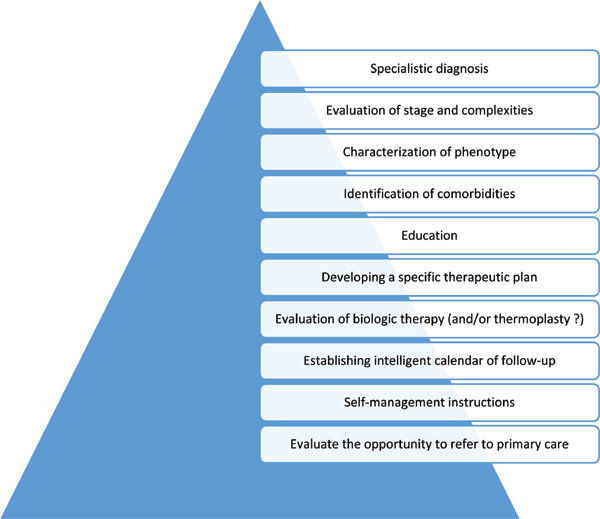 In this review we discuss the potential risks of therapy in IBD, opportunities to mitigate those risks, and a personalized approach to consider when using these agents in clinical practice.